Selected moth beans (Vigna aconitifolia) were subjected to different processes such as sprouting and cooking. Their respective flours were prepared and evaluated for their physicochemical and functional characteristics. From our study, it was observed that the ash content of raw moth bean flour was considerably higher in comparison to the sprouted and cooked moth bean flour. On the other hand, the crude lipid and fiber content of sprouted moth bean flour were remarkably higher compared to raw and cooked moth bean flour, respectively. The raw moth bean flour exhibited considerably better emulsifying activity compared to the sprouted moth bean flour. Sprouted bean flour was showing higher emulsion stability than the raw bean flours and the cooked bean flour reported zero emulsion stability. 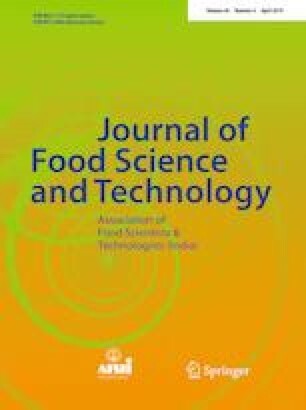 The value of foaming stability was not significantly different among raw and sprouted moth bean, but it was significantly low in cooked moth bean flour. Raw moth bean flour was found to exhibit higher gelation concentration than the sprouted and cooked flours. This study highlights the variations observed in the physicochemical and pasting characteristics of moth bean seeds (raw, sprouted and cooked) and their respective flours. The online version of this article ( https://doi.org/10.1007/s13197-019-03692-y) contains supplementary material, which is available to authorized users. The author acknowledged scholarship donor Social Justice and Special Assistance Department, Government of Maharashtra, India and Asian Institute of Technology, Thailand to conduct this work.